AMD stellt nach eigenen Angaben ab sofort Microcode-Updates für GPZ Variant 1/Spectre und GPZ Variant 2/Spectre zur Verfügung. AMD selbst liefert den Microcode an Linux und Microsoft, so wie an die entsprechenden OEM/ODM für Bios Updates. 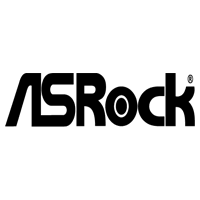 TAIPEI, Taiwan, March 28, 2018 – A leading global motherboard manufacturer, ASRock, is moving into the graphics card market with the Phantom Gaming range – a strong line up of AMD Radeon™ RX500 series cards, including the Phantom Gaming X Radeon RX580 8G, Radeon RX570 8G, the Phantom Gaming Radeon RX560 4G/2G and Radeon RX550 4G/2G.